You are currently browsing the tag archive for the ‘low maintenance decking’ tag. 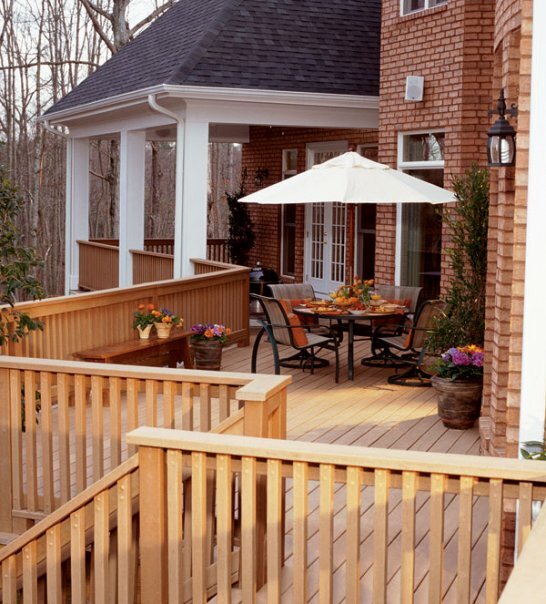 For homeowners in the market for a deck, there is a very (very!) tall-list and broad-range of decking material choices out there, some of which come-and-go depending on popularity and quality. 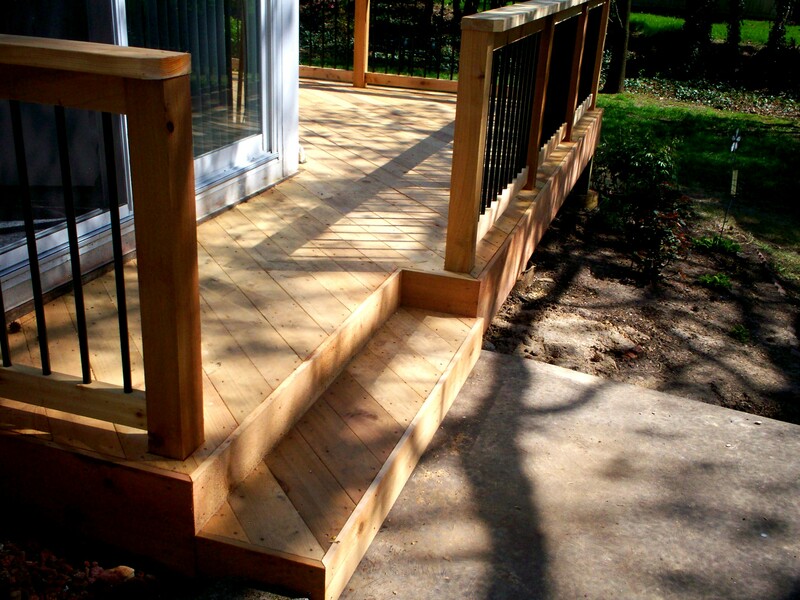 But product evaluation is ‘all-in-a-day’s-work’ for an experienced contractor like Archadeck. So when it comes to a product-review, we can certainly help. In our industry, building materials change, evolve, improve and innovate. But one decking material in particular, has really gotten our attention over the past few years and that’s the TimberTech Earthwood Evolutions line. There’s no doubt about it, TimberTech has been — and continues to be — a major industry player, especially following its recent merger with AZEK. 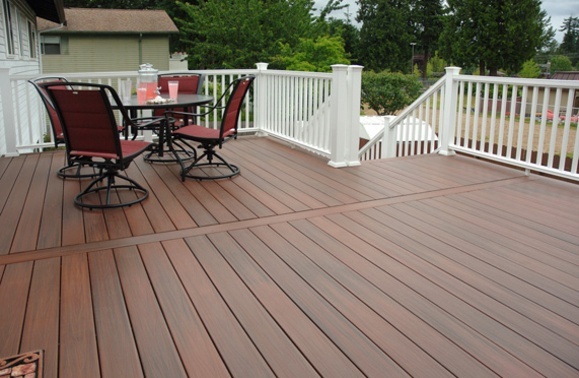 The brand consists of a full-array of wood-plastic composites, PVC decking and Earthwood Evolutions capped composite. The entire TimberTech line is a crowd-pleaser, but for today, let’s look specifically at Evolutions and why we love it. 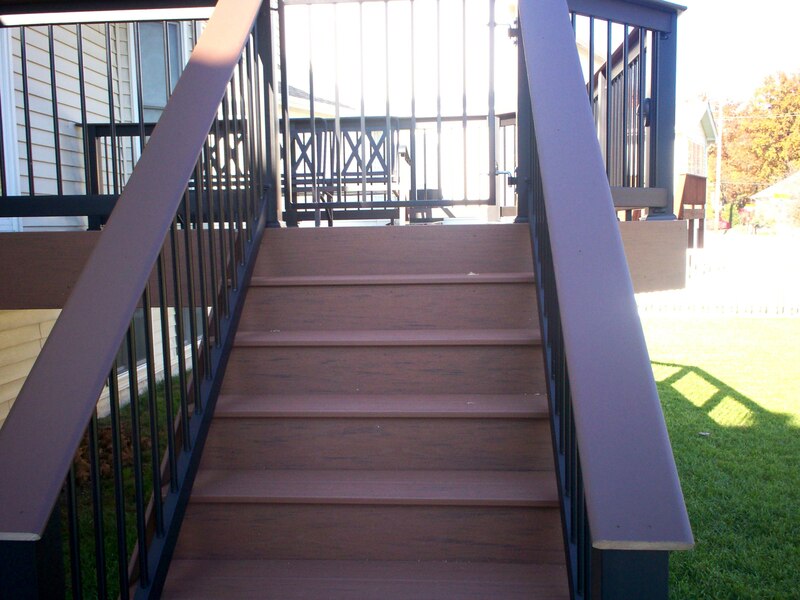 Technically speaking, Earthwood Evolutions is classified as ‘capped composite’ but sometimes called ‘capped polymer seal’ or ‘capstock’ decking. It’s a hybrid of composites and vinyls. Decks St. Louis, Mo: Composite or Wood? When folks are ready to build a deck for their home, they usually begin by exploring decking material options which have increased dramatically in recent years. 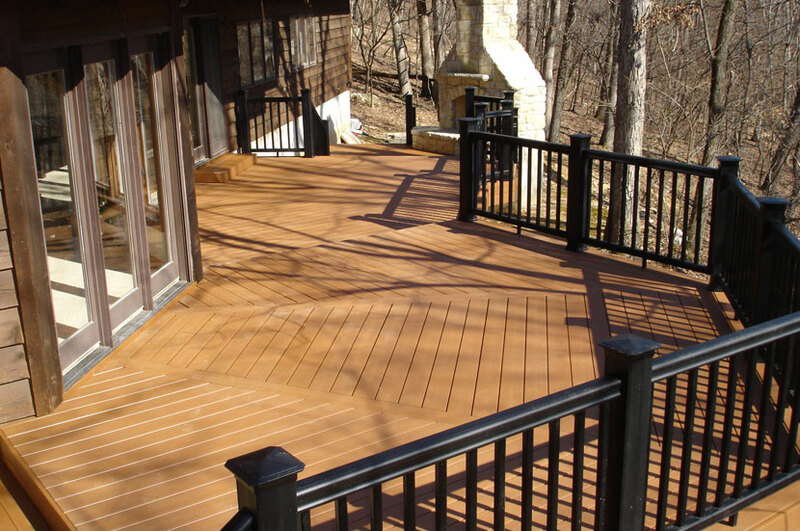 Natural woods remain a very popular choice among our St. Louis customers; however over the past 15 years, there are now several quality product-lines of low maintenance decking available — vinyl, composite and capped composite. These synthetic boards are designed to emulate the look of real wood but are actually manufactured. 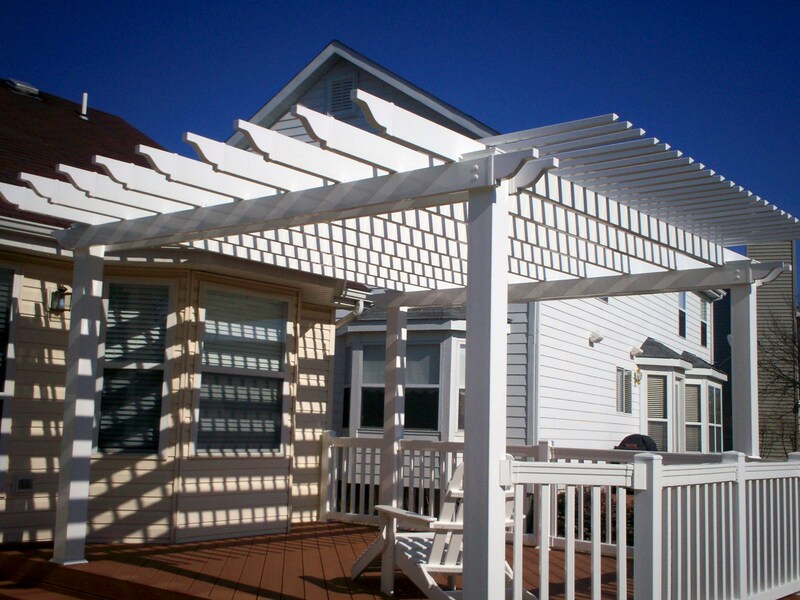 So how should you decide on materials for your new deck, porch, screen room, gazebo or other outdoor space? Your decision can be easily determined by your personal preference for aesthetics, maintenance and project budget. Composites and vinyls were developed to emulate the visual qualities of wood, but in reality nothing comes closer to real wood than… real wood. Nothing adds to the beauty and pleasure of a home improvement project than an outdoor living space designed and built by Archadeck using the TimberTech product line. 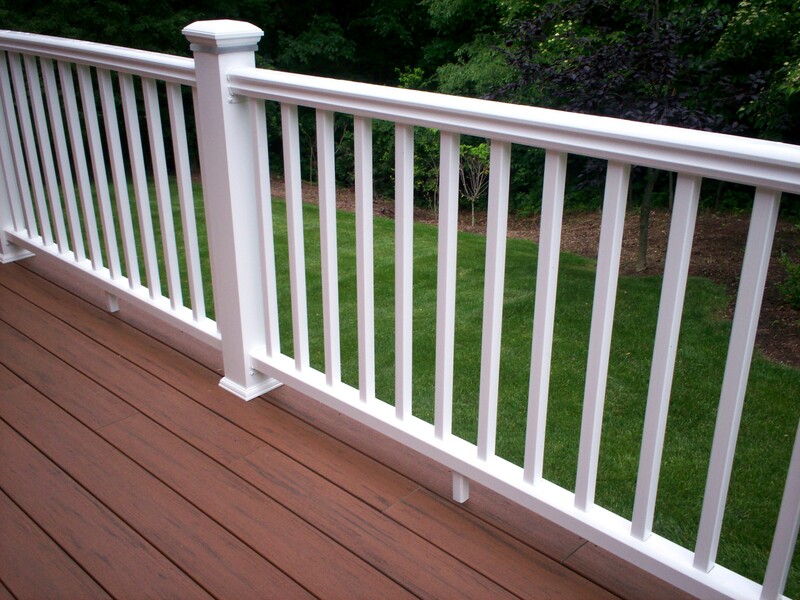 Decks and porches designed and built using TimberTech are everything a composite, capped composite or vinyl project should be — attractive, low maintenance, durable, and natural in appearance. With a gorgeous color selection including the textures and tones of wood, hardwood and accent colors, your outdoor structure will certainly complement your home and personal sense of style. 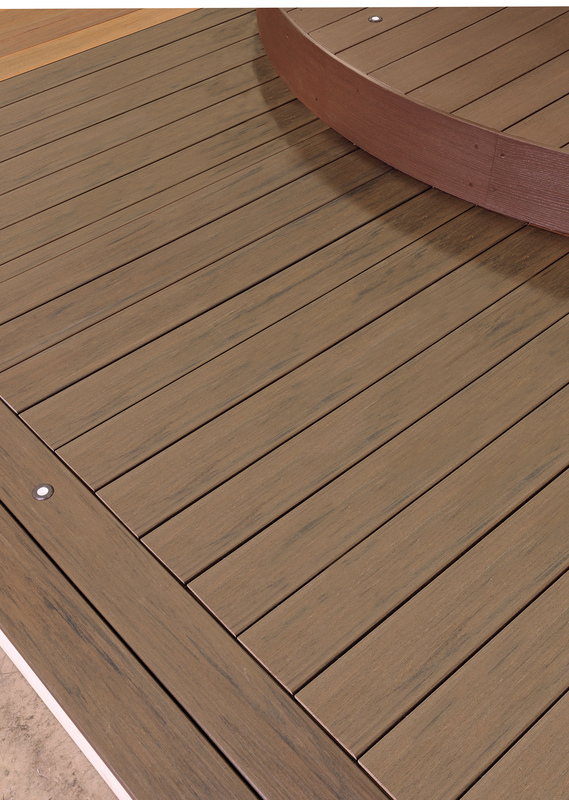 Among synthetic decking manufacturers is AZEK, one of the leading brands of low maintenance decking materials. As an alternative to wood or composite building material, synthetic decking by AZEK provides good looks and the ability to withstand damage from every-day deck usage including stains or scratching. Virtually impervious to insect damage and moisture, AZEK is durable, long lasting, and beautiful.